i see this every night. the view from the end of the driveway. and you wonder why i believe? this neighborhood is magic and holds me still. looks like a little piece of december magic, beautiful. how could you not believe? how blessed to be in the midst of magic. That neigbourhood is so very magical. No matter what time of year. How beautiful, those lights along the water. I am leaving tomorrow, and wanted to wish you a most wonderful Christmas Debi. Wishing you all things sparkly and beautiful. 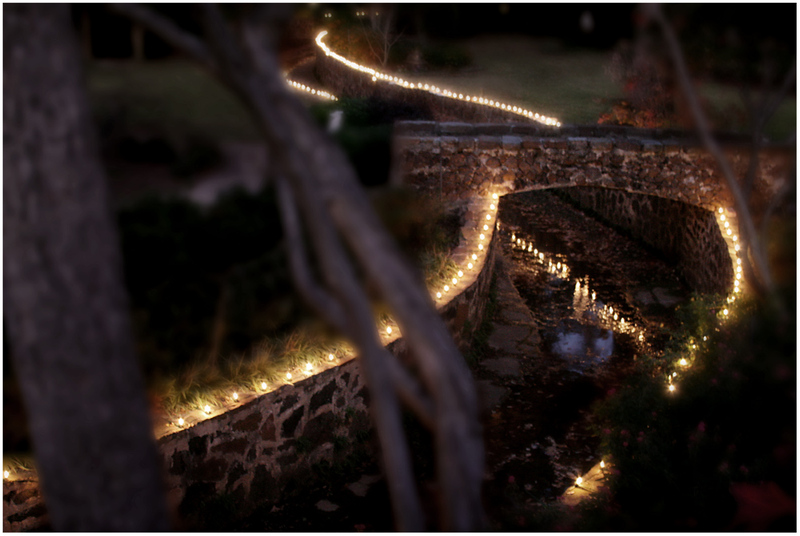 A lovely sight to be able to walk along the creek and enjoy the lights. I am so happy you still believe in magic. I'm movin' in. I tell you - I really am. :) to be honest, i have to take a couple of steps up the street - i can only see the beginning of this from the end of the driveway. but not a bad couple of steps to take.